Why not more pictures? One picture says they really don't want to let go. At least to me. 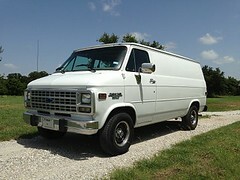 Is this the same van? CL adds in Maine and CT? One picture and a price of $10 means they don't know what they're doing. 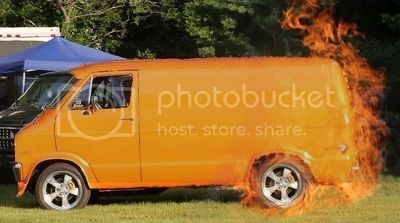 If this a real add this was a New England vanners van which recently passed away. Guy says its in Ludlow MA. and he wants 10k. Doesn't answer many questions except he doesn't have any more pictures. Yes it is his brother selling it and he may not know much about listing it. There are many pictures around on this van. It is real clean and sad that Ron the owner passed away last week. Ron lived in Ludlow and his brother lives in Wallingford CT If anyone has additional pictures please add them here.